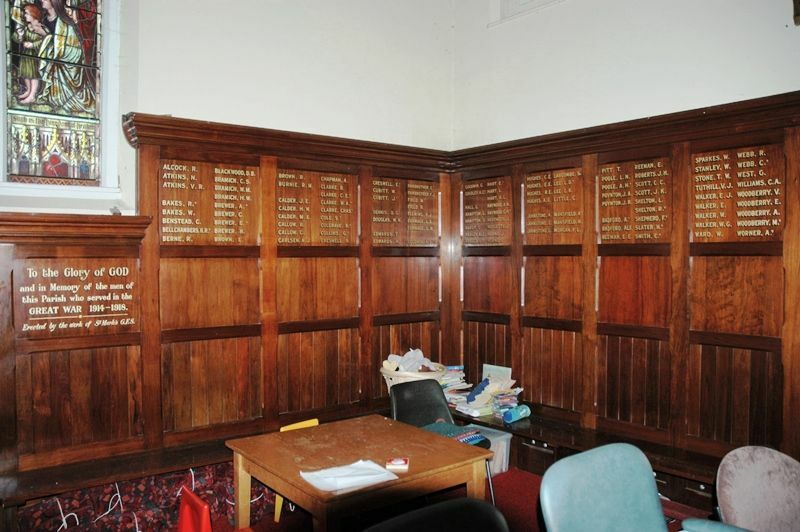 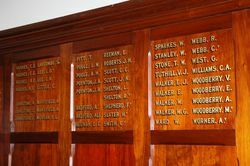 A wooden honour roll commemorates men of the parish who served and those who died in World War One. 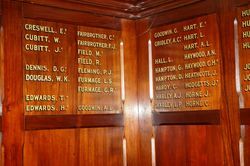 It list 115 names. 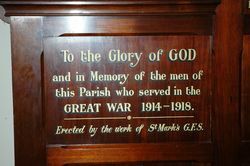 To the glory of God and in memory of the men of this Parish who served in the Great War 1914 - 1918. 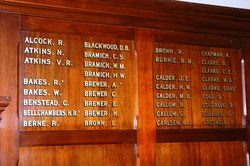 Erected by the work of St Mark's G.F.S.